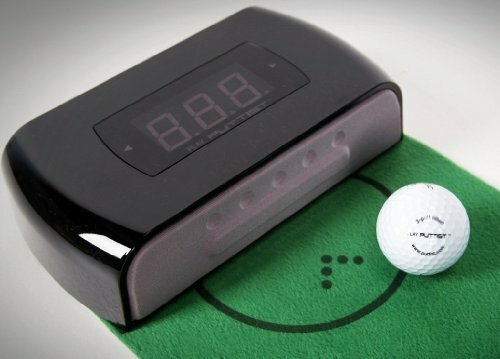 PUTTIST Plus putting trainer has a rechargeable battery that enhances its portability. PUTTIST sensor unit, Putting Green mat and portable power adaptor included. PUTTIST can be operated in Normal (practice) or Game Mode. Operates on AC power, or on battery power for three hours on a single charge. Practice 6- to 45-foot putts to develop your touch in a 5-foot space. The unit and mat fit in your computer bag, golf bag or luggage. Play and practice at home, in the office, on the road! If you have any questions about this product by Puttist, contact us by completing and submitting the form below. If you are looking for a specif part number, please include it with your message.